Gollum and his alter-ego, Smeagol, might have disagreed over a lot of things, but on two things they agree: their love for the One Ring and, apparently, Cyndi Lauper tunes. YouTuber Ian Walters, famous for his Gollum impression, is raising money for his Kickstarter campaign with the help of a new video, “Gollum Sings Time After Time by Cyndi Lauper,” and yes, he kind of kills it. While Gollum might have been prone to singing little rhyming ditties about the fish he loved so much and sing-song to himself about his love, his “Precious,” full-on serenades seem a little out of his wheelhouse. 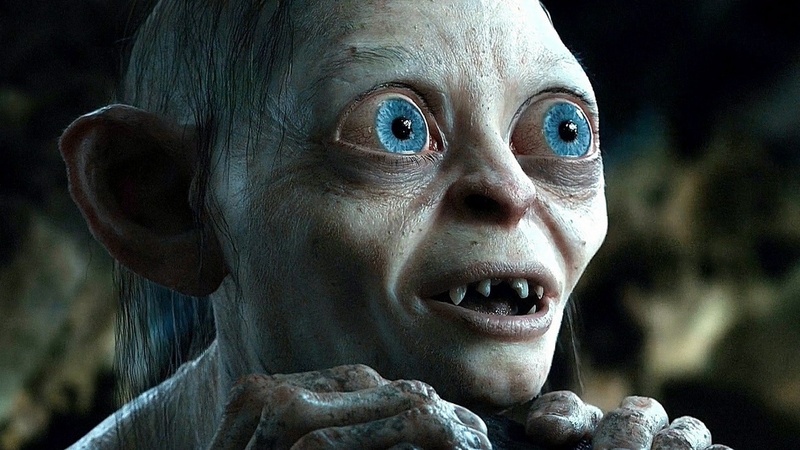 But Gollum’s iconic, phlegmy voice, brought to life by Andy Serkis in The Lord of the Rings series, has been ripe for use by impersonators since it first graced audiences’ ears in 2001’s The Fellowship of the Ring. Walters — best known for his renditions of Smeagol singing Tears for Fears’s “Mad World” and Les Misérables’s “I Dreamed a Dream,” both of which have over 1 million hits on Youtube — crafted this Cyndi Lauper/Gollum smashup to raise money for the production of his first full-length album. If you donate $100 or more to his Kickstarter page, Walters will make you a personalized Gollum parody of your choice. So, that’s potentially even more Lauper tunes in the near future.